Over the past decade, thousands of military vehicles and tens of thousands of tonnes of supplies and equipment have been moved into Afghanistan in support of NATO operations. In the near future, this matériel will have to be disposed of or moved out of the country. For the UK military this will be the biggest logistics operation since the Second World War. The process of moving supplies into, around and out of Afghanistan is a resource-intensive operation that has already resulted in numerous instances of local and regional corruption, which have often been accepted as a cost of doing business. This report looks at how these and other problems arise and how the United Kingdom’s military supply chain can adapt to deal with them. It makes recommendations for utilizing supply chain resources to serve strategic and operational goals during the build-up and drawdown of forces. It analyses how broader opportunities can, over time, be extracted from managing the military supply chain and its component parts. These include improving local transport infrastructure, supporting reconstruction and development efforts, and delivering influence at local levels. These opportunities could be realized through a variety of means, including increased employment of local workers, targeted resource distribution, and intelligent contracting coupled with robust financial oversight. You can’t read military strategists these days without falling over ‘wicked problems’, but for me the originality of the report lies in its UK focus: a useful complement to the US discussions. 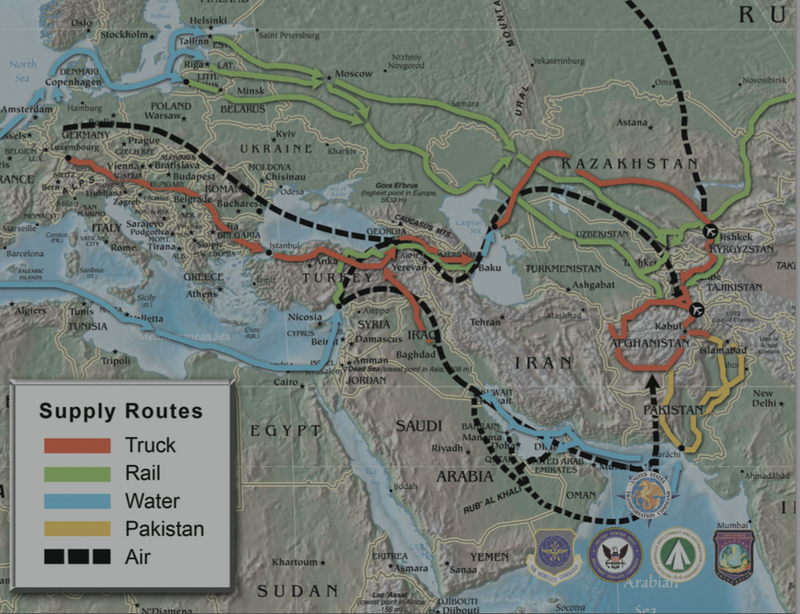 (The map, incidentally,comes from US Transportation Command’s Annual Report for 2011; the 2012 report is here). You can read a summary, and access the full Chatham House report, here. 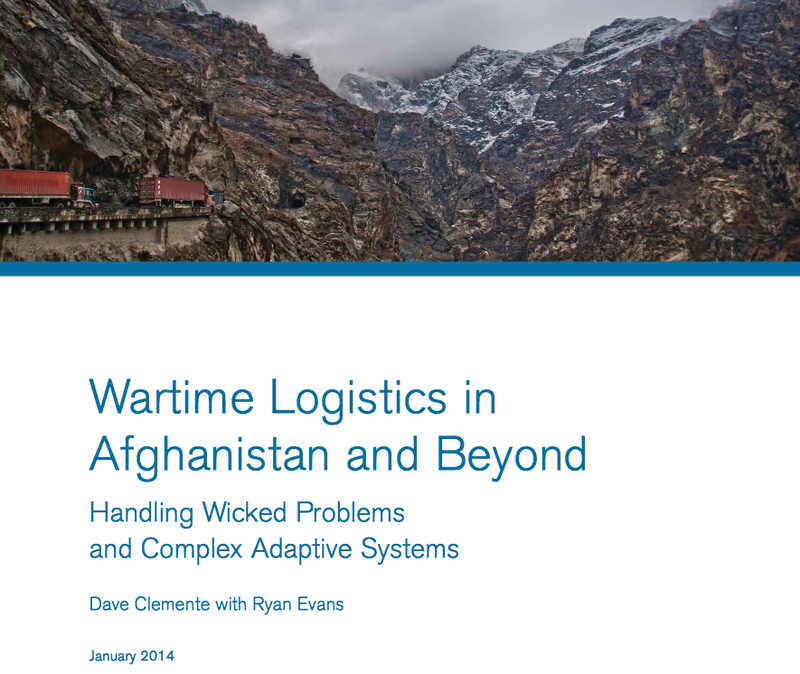 This entry was posted in Afghanistan, logistics and tagged Afghanistan, British Army, logistics by Derek Gregory. Bookmark the permalink.